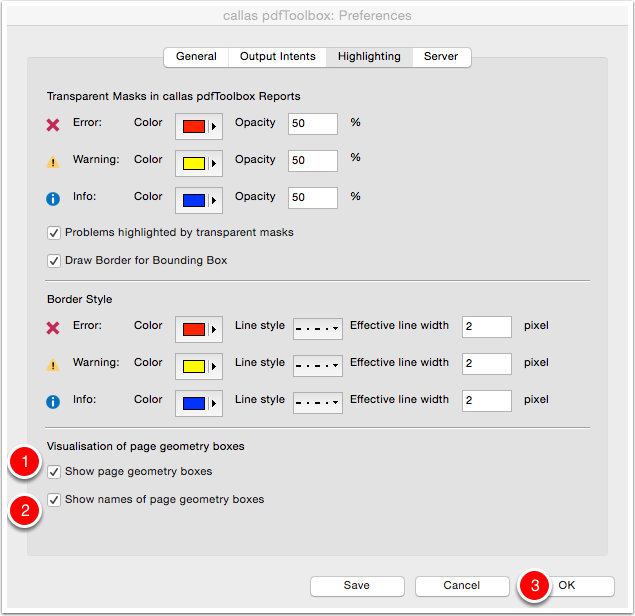 With pdfToolbox 8.2 it is possible to trace the page geometry frame BleedBox, ArtBox and TrimBox with lines in special colors and on separate layers. 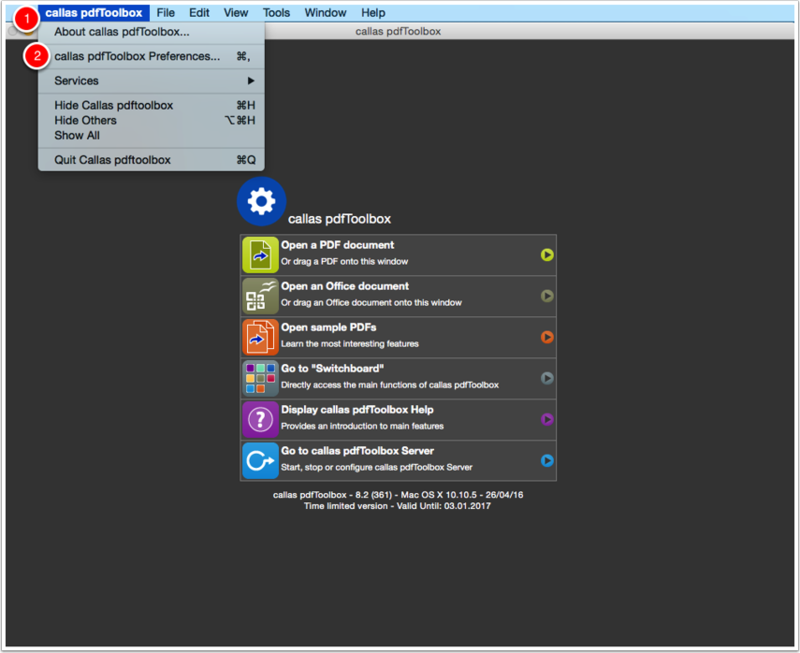 NOTE: On windows you have to go to "Edit > callas pdfToolbox Preferences". 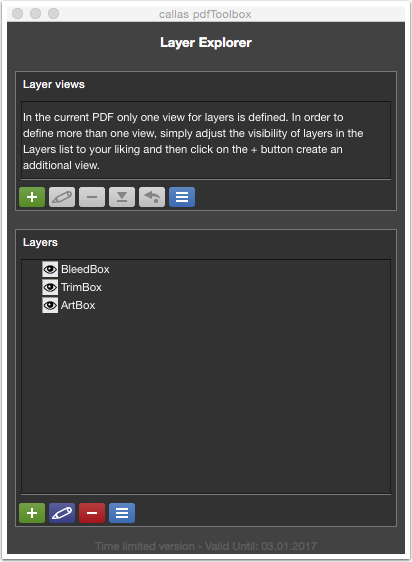 You can show the page geometry boxes in pdfToolbox when you open a PDF file. In addition, the names of the boxes can be show too. Select "Show page geometry boxes". 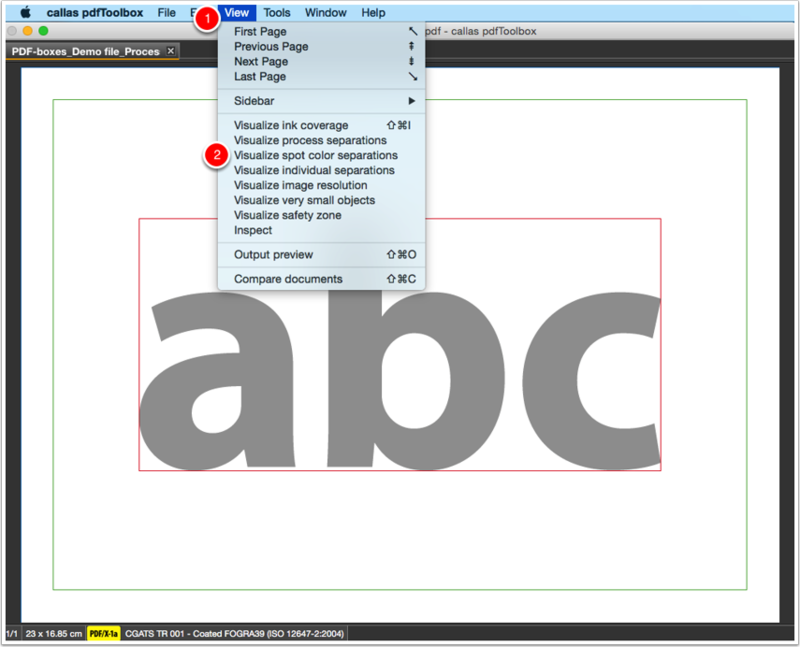 Select "Show names of page geometry boxes". 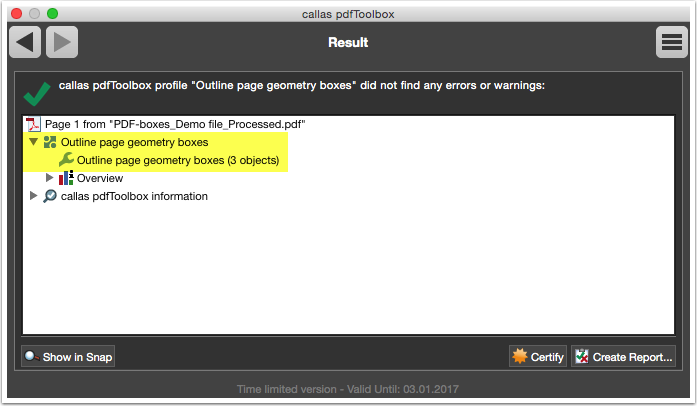 Open PDF file "PDF-boxes_Demo file.pdf"
The page geometry boxes with names are shown when open the PDF file in pdfToolbox. In the search field search to "Outline page geometry boxes". 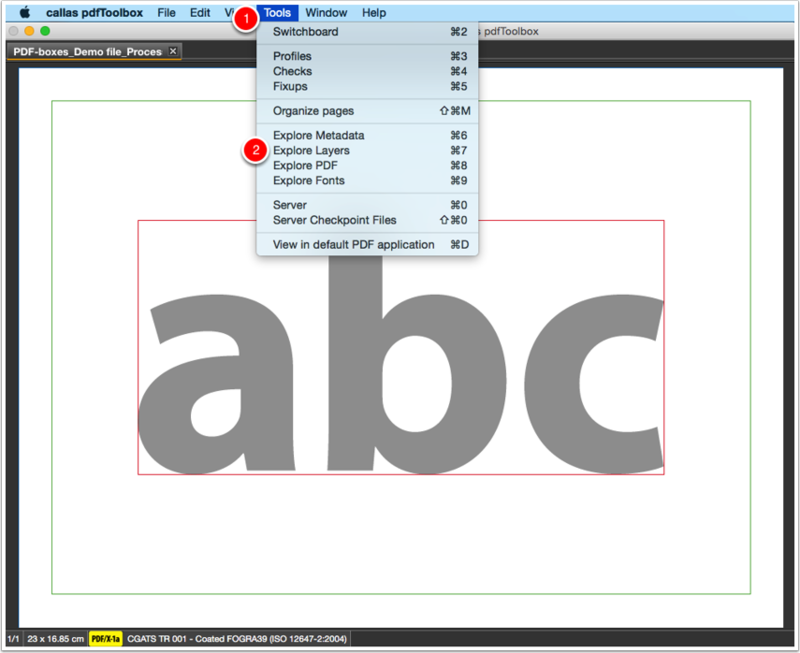 Select the Fixup "Outline page geometry boxes". 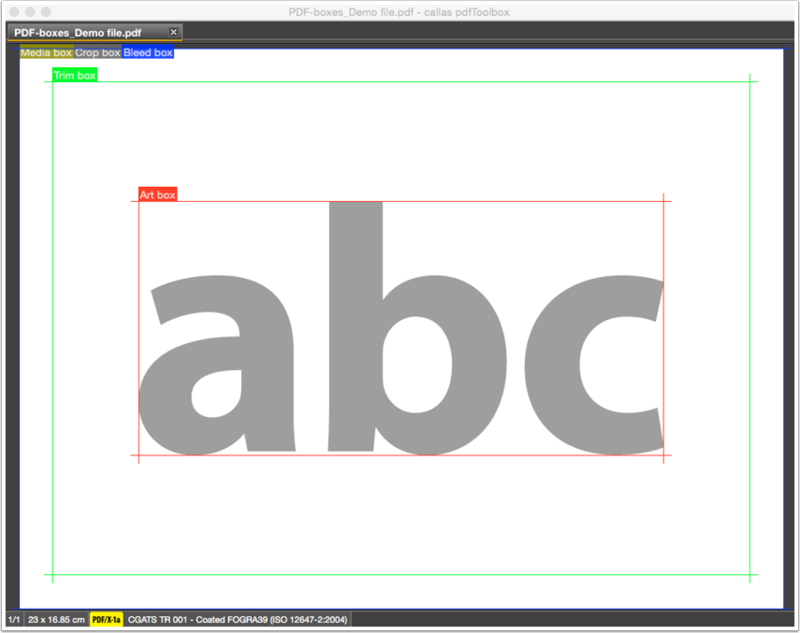 The Fixup add three page geometry frames to the PDF file. These elements are presented in three different spot colors (blue, green and red) on three different layers. To work organised, these new elements are each inserted into newly created levels. NOTE: The Fixup can be adjusted. 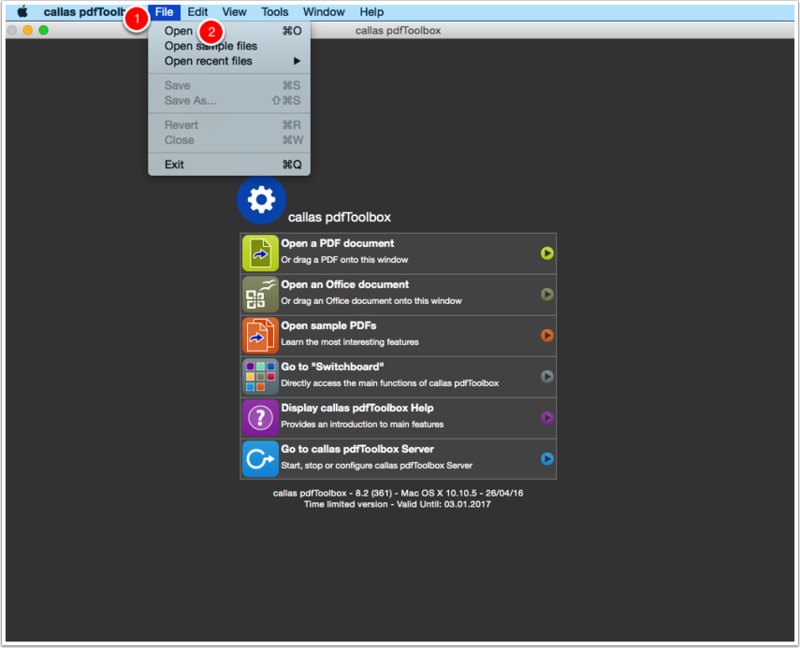 Make a copy of the predefined Fixup and change the settings. By clicking on the "OK" button, the changes are applied. 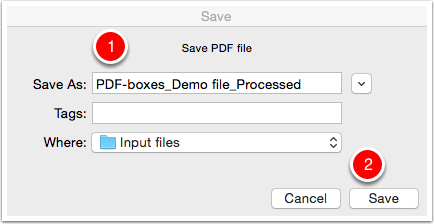 Save the output PDF file as "PDF-boxes_Demo file_Processed". A green check mark is shown, refers to a successful correction. The three page geometry frames (BleedBox, TrimBox and ArtBox) are added in the PDF file. 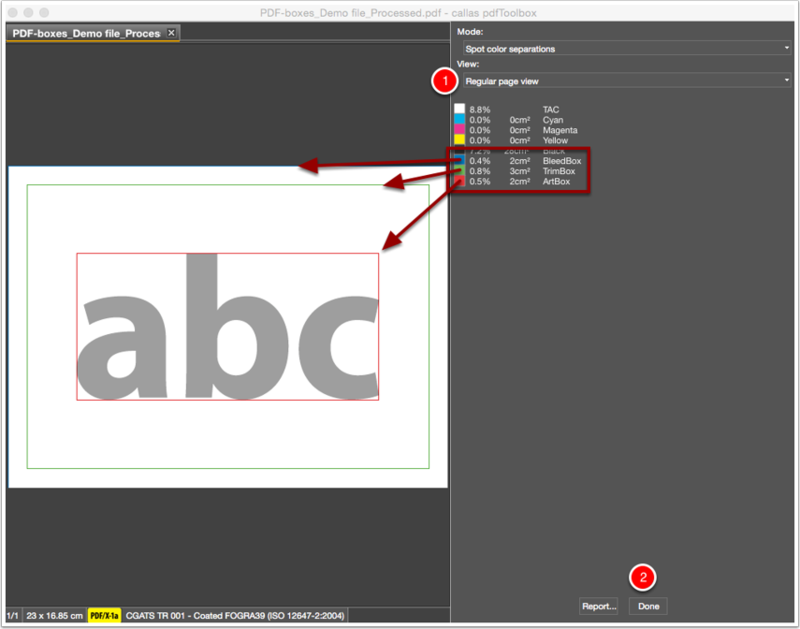 Click "Visualize spot color separations". The three page geometry frames (BleedBox, TrimBox and ArtBox) are presented in three different spot colors. 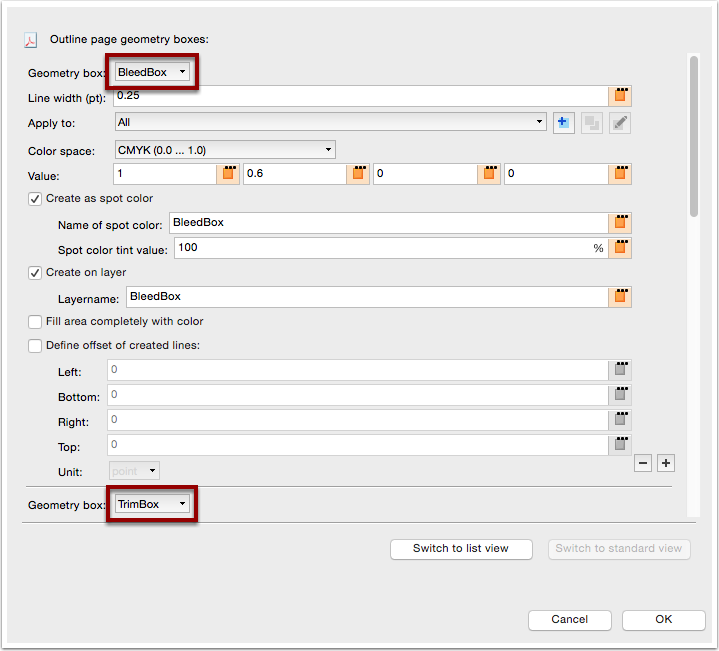 NOTE: Too see the page geometry frames, you have to switch off "Show page geometry boxes" and "Show names of page geometry boxes" in the pfdToolbox preferences. Reopen the PDF file too see the changes. The three page geometry frames (BleedBox, TrimBox and ArtBox) are presented on three different layers.